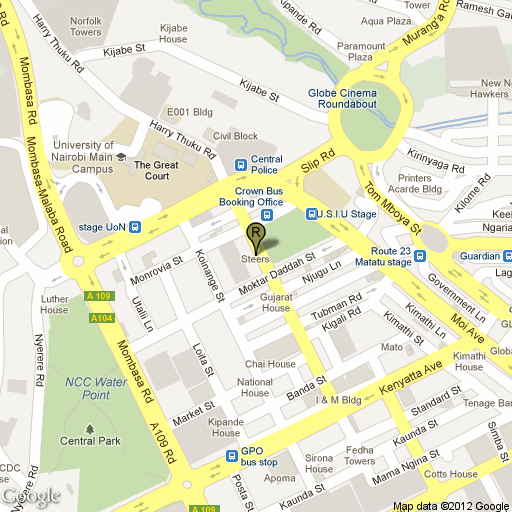 Debonairs Pizza is a chain of franchise pizza and sub restaurants started in South Africa and expanded to Kenya in 1998. 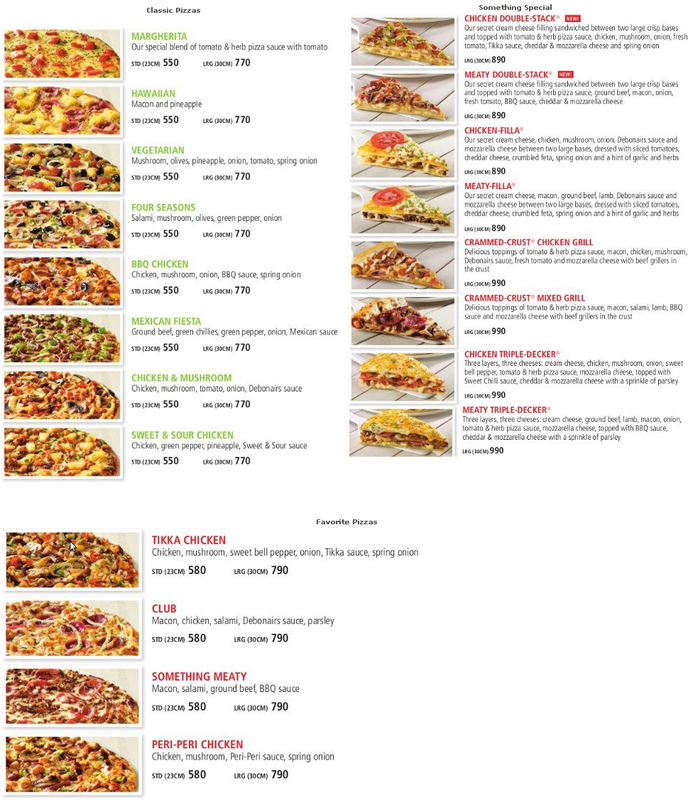 Debonairs Pizza describes itself as the “best pizza in town”, and provides a wide selection of toppings (with a “build your own” option for custom toppings combinations), sauces, as well as crusts. 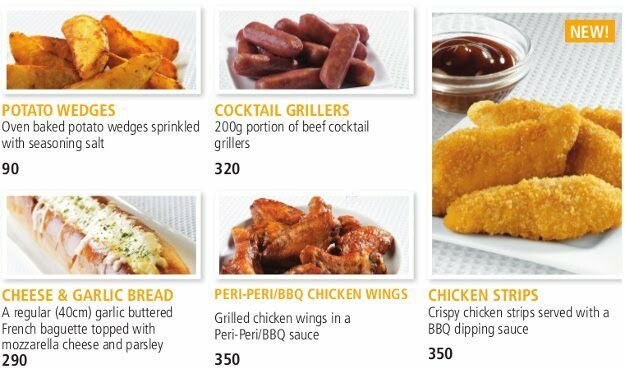 The restaurants also serve a range of drinks and sides such as potato wedges, chicken wings, cheese and garlic bread, as well as foldovers and customizable hot subs (on a French baguette). 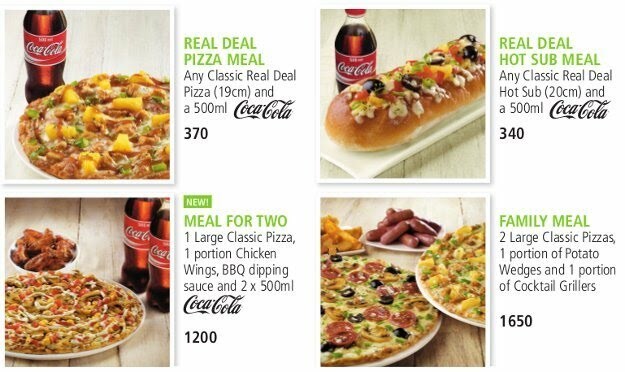 Combo packages are available for different drink/pizza/side/sub combinations. 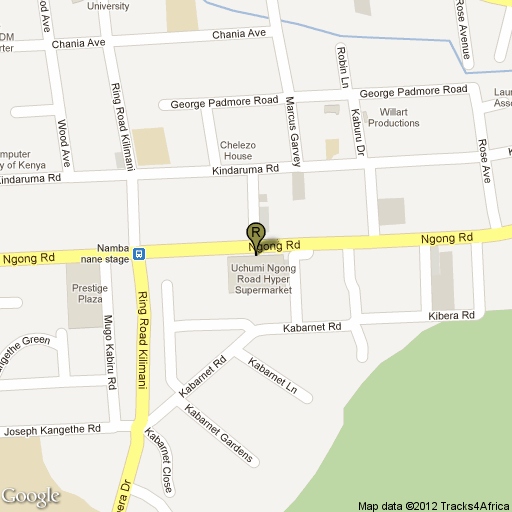 There are currently 3 locations in Nairobi; each provides free delivery within a 5 km radius (with a minimum order). 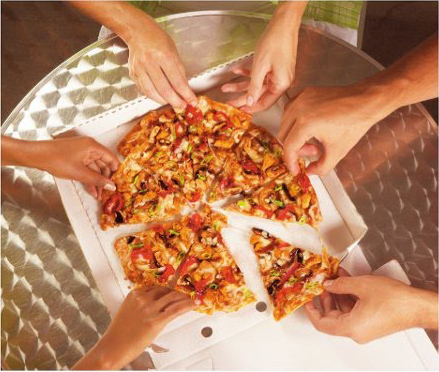 Debonairs was ranked 16th in KPMG and Nation Media’s Top 100 Small and Medium Enterprises in Kenya. 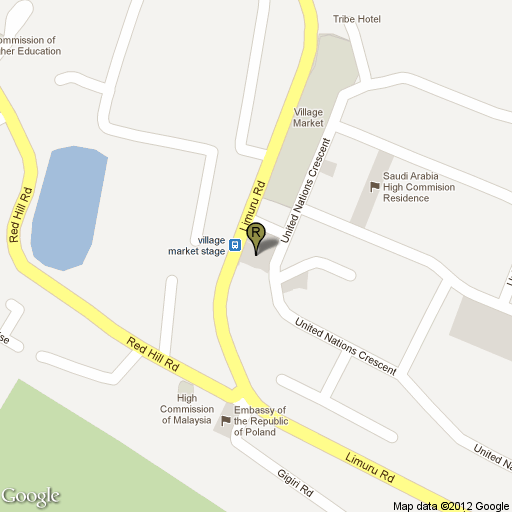 Click the promotional photos below for recent menus, or visit the company’s homepage directly.